Ally Scraps: No time to scrapbook during the Holidays?? No time to scrapbook during the Holidays?? Me either! I've been having a hard time managing my gift shopping, present wrapping, house decorating, cookie baking... while still trying to fit in some scrapbook time. 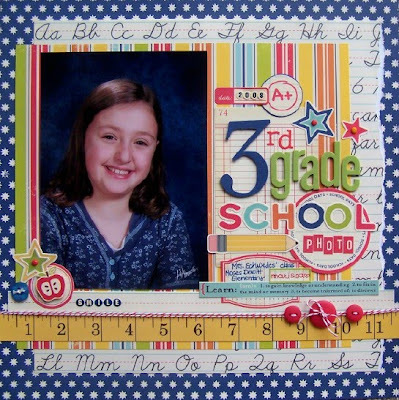 Want to know my "make time for scrapbooking" solutions? Well, here they are! Jana Eubank is always a huge inspiration to me. Love her designs! So, when I saw this layout, I knew it would be one that I would scraplift. 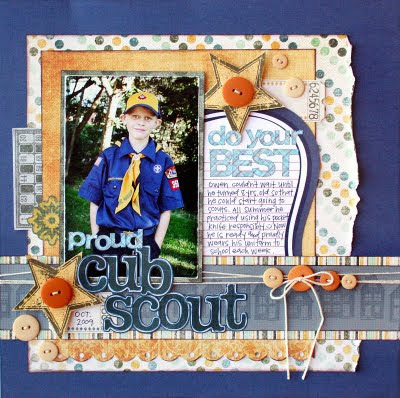 Check out Jana's blog, she has lots of awesome layouts to be inspired by... or to scraplift completely. An guess what, I know that she wouldn't mind! #2 - Use a sketch. 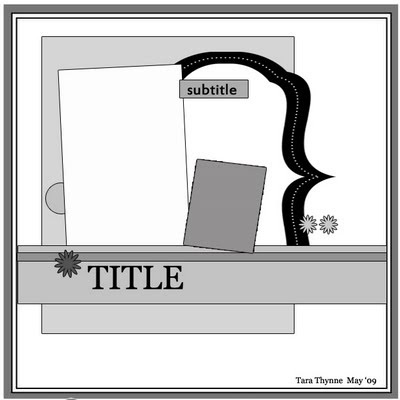 When I used Jana's layout for inspiration, what I didn't know what that Jana's layout was based on a sketch by Tara Thynne. Tara has a blog site all of her own, you can check out lots of sketches, right here at Capture These Sketches! We also have a gallery of sketches right on our own blog, by former design team member Debbie Gaydos, we love Debbie's sketches. I think my layout took 2 full weeks to complete. I know that seems like forever, but in the midst of holiday business, I feel great that it got finished. One day I did the paper layout, the next day, the title, added the picture on a different day, and the embellies and title another. Buttons like Jana's were my next addition, and then all of a sudden I was done! Always makes it easier to fit in scrapbook time, when I'm scrapping a picture or story that I love. I've wanted to use these school papers from October Afternoon since the minute they came to my door from AllyScraps. Makes it fun to get a page going! Want to see what I came up with? Here it is, 3rd grade school photo. Thanks so much to Jana and Tara for their inspiration. Hope you (and I) will be able to find some time to scrapbook this week! Oh, and want to check out some brand new scrappy supplies?? Cathy has just added some to the store. Look forward to Saturday's preview of the new Hero Arts catalog. I may actually make it to one of the events!! I have Christmas money I'd love to spend!! Merry,Merry Christmas to YOU from AllyScraps! Linda Albrecht has done it again!